Over the years, we’ve cooked turkey every which of way: roasted and basted, and basted, and basted with all kinds of combinations of ingredients, roasted in a bag, fried (of course), we’ve brined and have gone brine-less. Honestly, I think less is best in my book. Less messing. Less stuff. Less time. 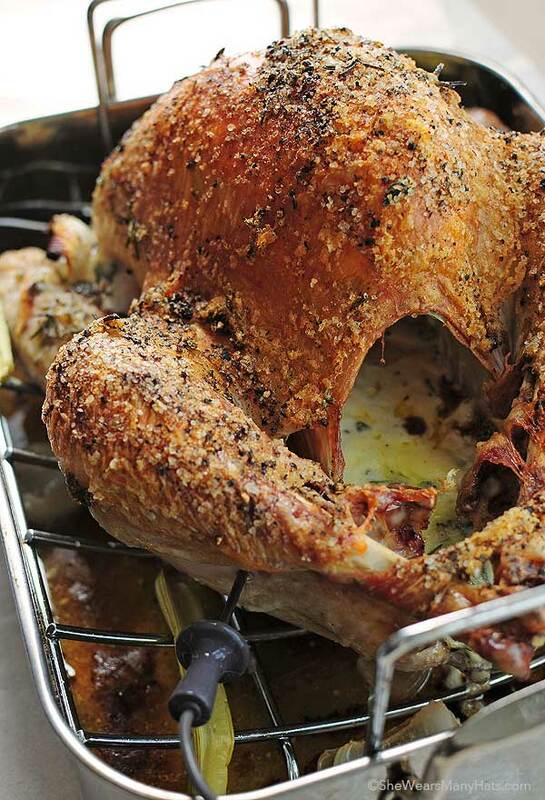 This recipe for a Mayonnaise Roasted Turkey definitely calls for less. Mayonnaise Roasted Turkey is pretty straightforward. And no, it doesn’t taste like mayonnaise. This is just one of the methods we use, but after great results each time, moist turkey, that tastes like turkey, hands-down, it’s our preferred way so far. Before I get to the mayo method, let’s talk turkey. Bigger isn’t always better. A large turkey doesn’t equal large taste. So if you have a big group to feed, I’d recommend getting two smaller turkeys. Smaller turkeys (I’d say 12-13 lbs) are harder to come by, but look for them. Hunt them down. No additional “stuff.” You may need to call around to find a turkey without all the junkity-junk, but it’s worth it. You may pay more per pound, but you won’t be paying for all that extra plumping or whatever it is. A good rule of thumb someone once told me is no more than 4 ingredients on the packaging. Remember, less is best. Use a meat thermometer and cook for proper time. Turkey doesn’t need to take 4 hours to cook. I promise. Make sure you have a good meat thermometer that stays in the turkey and can be monitored from outside the oven. We like to insert the meat thermometer into the thickest part of the thigh (without touching bone) for monitoring while cooking, but you’ll also want to check the thickest part of the breast before removing from oven, so an externally monitored internal meat thermometer is handy. Whatever meat thermometer(s) you use, just be sure to test them ahead of the big day for accuracy. Cook temperature and time for roasting a turkey is basic and simple. Roast high for a short time, then turn down until the internal temperature reaches 165-degrees F. See recipe below for temperatures, etcetera. You’ll be surprised how quickly it reaches the proper internal temperature, depending on size, 2 hours or less! Let it rest. That turkey has been working and it’s hot man. Let it rest, covered, for at least 20-30 minutes (depending on size) before carving. It will help retain the juices and all the goodness. The internal temperature will continue to rise as it rests as well. To brine or not to brine? If you like to brine and you’ve got the time, brine away… brine until you dine, in the sunshine, it’ll be fine. We’ve brined and we’ve gone brine-less. Honestly, I tend to be bad at planning, so I usually forget until it’s past the prime time to brine. 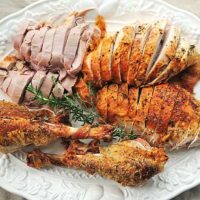 Plus, I think when you invest in a good turkey, as mentioned before, with no additives or plumped up with extras, not too large, and roasted correctly, you might find that brining may not be all that necessary. And finally, practice. Cook turkey more than just during the holidays. Try out different techniques. Brine, don’t brine. Test different basting combos. Feeling confident about cooking your turkey will help make the day of celebrating more enjoyable for you. And tasty too! Okay, now for the Mayonnaise Roasted Turkey. I know, it sounds weird, but like I said before, it does deliver a moist and tasty bird. And, it’s simple. Let me show you. Mix herbs (fresh or dried) with mayonnaise. We used herbs we had on hand from the garden. Feel free to experiment with different herb and seasoning combinations. And of course, dried herbs may be substituted. Use the 1/3 dried versus fresh rule. Dried herbs are more potent. Chopped celery, and onion, salt, pepper, and a stick of butter for good measure, round out the ingredients needed, other than the bird. Prep the turkey in a roasting pan. Make sure it’s thawed y’all, I’ve made that mistake before. Rub the mayo/herb mixture all over and inside of the turkey. Season with salt and pepper, add the celery, onion, inside and out, and tuck the butter in the cavity. Roast in a 450-degree F oven for 30 minutes. Turn the oven down to 350-degrees F, and insert the meat thermometer at this point in the thickest part of the thigh. Be careful to not touch bone. Some say insert it into the thickest part of the breast, we’ve done that too, but now use the thigh as the measure and then check the breast to make sure it reads the proper temperature as well before removing from oven. Continue roasting, uncovered, until internal thermometer reaches 165-degrees F. If you’re concerned with the legs getting dried out, cover them partway through cooking with foil. Sometimes I do, this time I didn’t. Keep an eye on it during cooking to see if it’s needed. Now enjoy with your favorite side dishes and of course gravy! Speaking of gravy, save those drippings in the roasting pan. You’ll need those for the gravy. Turkey needs a friend. 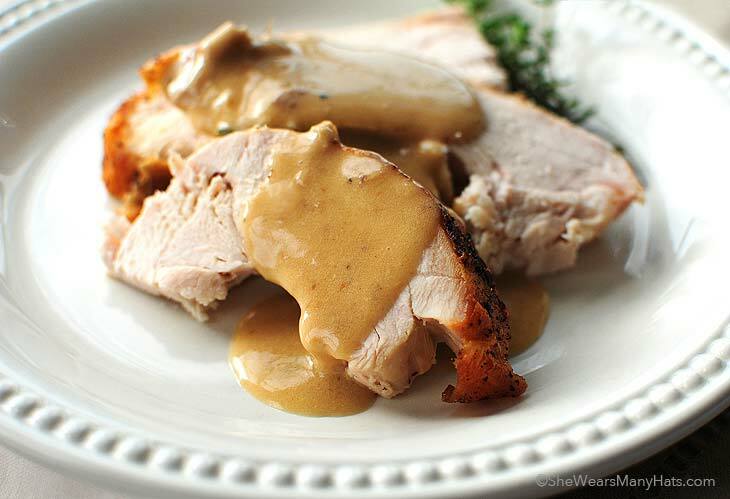 This Turkey Gravy Recipe will show you how easy it is to make your own gravy. This recipe for a Mayonnaise Roasted Turkey definitely calls for less. It's pretty straightforward. And no, it doesn't taste like mayonnaise. This is just one of the methods we use, but after great results each time, moist turkey, that tastes like turkey, hand-down. It's our preferred method year after year. 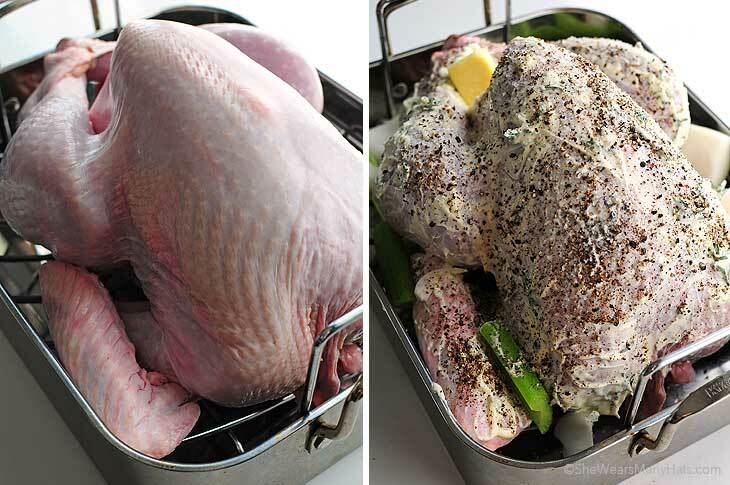 Lay turkey in a roasting pan. Remove leaves from herbs stems. 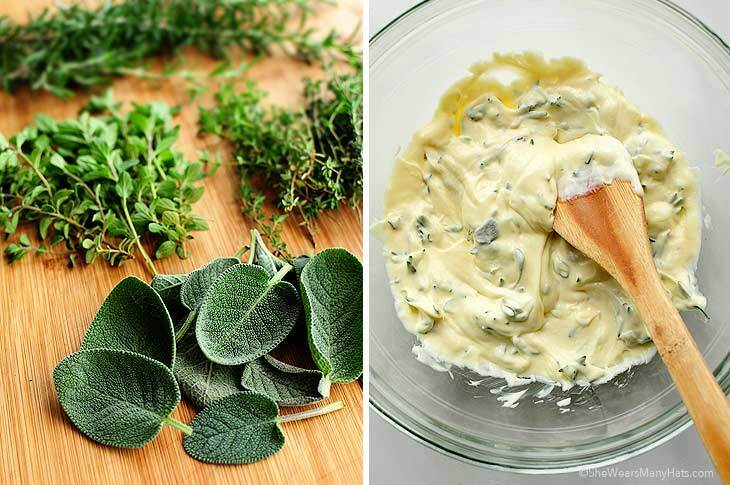 Add sage, thyme, rosemary, and oregano to mayonnaise; combine well. Rub mayonnaise/herb mixture all over outside and interior of bird. Liberally salt, and pepper turkey. 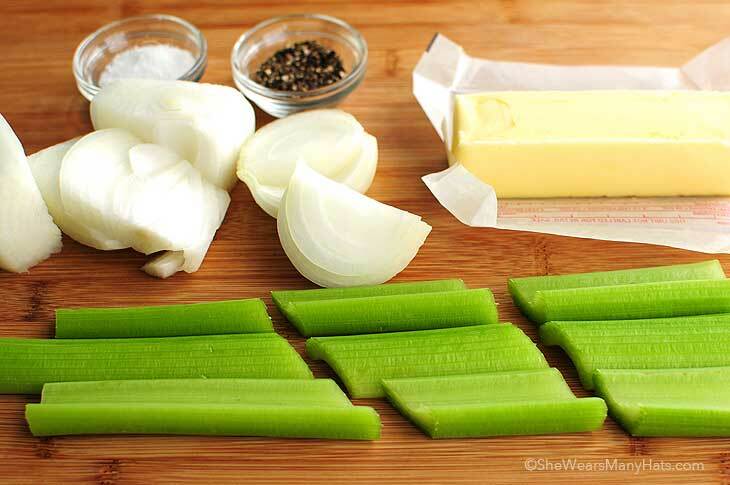 Add the celery, and onion, inside and out, and tuck the butter in the cavity. Roast turkey in 450-degrees F oven for 30 minutes. Then turn the oven down to 350-degrees F, and insert the meat thermometer into the thickest part of the thigh, being careful not to touch bone. Continue roasting, uncovered, until internal thermometer reaches 165-degrees F. Cover legs with foil partway through roasting if desired. Depending on size of turkey, total cook time will be around 1 1/2-2 hours. Once the thermometer reaches 165-degrees F in the thigh, check the internal temperature of the thickest part of the breast to make sure it reads at least 165-degrees F as well. Remove from oven. Cover loosely with foil and let rest for at least 20-30 minutes (depending on size) before carving. Remember to reserve turkey drippings and juices for gravy. *Dried herbs may be substituted. A rule of thumb is to use 1/3 dried versus fresh. See more notes in original post. Originally published November 8, 2011. Ooh, this looks so good, Amy! I’m really looking forward to Thanksgiving now! Seriously, this is just incredible. I am dying thinking about trying this out. Now that is one beautiful bird! I’m hosting Thanksgiving this year for the family so I need to start preparing my menu. I’ve cooked my own turkey before but it’s always nice to see what others are doing for their families and for a refresher course! Thanks for sharing your turkey cooking tips, super helpful! Fresh herbs and a moist turkey? I’m in! Looks fabulous, Amy. That has got to be the most beautiful roasted turkey I’ve ever seen. I really want to try this now! Your turkey looks amazing! I would have never thought mayonnaise…but it makes complete sense! I never knew mayo could be used! That’s genius even for a mayo-hater like myself. Luckily, I still haven’t had to host Thanksgiving so I’ll just stash this recipe until next time…maybe I’ll stop making excuses for next year! This is the basic recipe I’ve used for at least a decade (minus the stick of butter in the cavity). It always comes out moist and juicy! Never a mayo taste for those of you a little concerned. I do vary the herbs and seasoning from year to year – my hubby favors more of a Cajun seasoning on his bird so that will be the plan for this year. I have to admit, when I saw mayonnaise in the title I was a little spooked, but those pictures have sold me. That turkey looks great! I love this!! I’m kind of a mayonnaise snob and prefer to make my own, but it would be well worth it I think. Mayo has magical properties, I’m finding out. I can only imagine how delicious it makes this turkey taste! Thanks for a great, unique idea for Thanksgiving! Oh my! My husband calls me a saucy kind of girl, well, because I spread mayo on everything. I’ll take sage mayo, honey mayo and chipotle mayo and slather it on fries, fish… you get the picture. This is one beautiful hunka saucy Turkey. I need to try. Now that is a gorgeous bird! Seriously Amy, that look like one of the tastiest turkeys I’ve seen and, as usual, your photos are gorgeous. I am literally salivating. I can only imagine how wonderful this is. Having only helped cook turkeys in the past, all of these tips help. Thanks for a great post! Wow, never would have thought about mayonnaise as a roasting medium – Brilliant!! I’ll have to put this to work! Sitting on the edge of my seat waiting for that gravy recipe. I have never seen such beautiful turkey gravy. Well, I’ll be. I have never, ever heard of the mayo method. But I’m loving it! i think I’ll try it out with a turkey breast this weekend. I’m thinking this will be on our table for Thanksgiving! I am so glad you posted this! Ever since you talked about it in Montana I’ve been anxious to try it. Gorgeous turkey photos, by the way! Beautiful photos and such an incredibly interesting method – and I totally agree with you – less is sometimes more! WOW that is one good looking turkey! I’ve never heard of using mayo but the results speak for themselves. I could do this! My favorite turkey and one I have to make every year is one that has herb butter slathered all over it, but I loosen the skin and put the butter between the skin and the breast meat. I think I’m going to try adding some mayo and more herbs and get a bit different flavor this year…I most often do sage and though we love it, I’m ready for rosemary! Your turkey is gorgeous…and now I’m sort of craving some. Bad. That sounds incredible! I have a chicken recipe for a baked chicken where you roll it in a combination of mayo and coarse ground mustard and then in seasoned fresh bread crumbs. It is the best chicken because it’s super simple and stays really moist. I never thought to slather it on a turkey though! You made turkey look beautiful. Yummy! I am SO ready for turkey now. Gobble, gobble! Amy….. This is very different from how I usually approach my Thanksgiving turkey, but I guarantee you, I’m making it YOUR way this year. I cannot get over the color and texture of that skin! That turkey is sheer perfection. Very interesting! I can just imagine how wonderfully crispy that skin is. It looks gorgeous! This sounds carzy amazing! I would have never thought to use Mayo! That looks soooo delicious!! Do you think you could come to my house for Thanksgiving and bring the turkey?? this is one gorgeous looking bird. I especially love the golden crust it has. Can’t wait to give this one a try. I saw this turkey on Pinterest and just had to find it’s source. What an amazing looking turkey! As I’m in Scotland we don’t do Thanksgiving, but I think I may do this for Christmas which is when we eat our Turkey. That looks delicious. I never would have thought mayo for a turkey. This looks amazing. My husband and I were just talking about doing “something different” for THE MEAL this year, and this looks like just the turke–I mean, just the ticket. Can’t wait to try it. Thanks, Amy. Gorgeous photos. This turkey looks amazing! It is going to be just Grumpy and myself this year so I will probably cook a turkey breast – but I think this is how I’m going to do it! Thanks for such a great post. One time I walked into the kitchen and my old roommate was coating chicken breasts in mayo. I thought she was crazy because I had no idea you could do that! She shared a piece with me and it’s soooo good. I’ve been hooked since. So did you actually end up trying it? I’m dying to hear reviews from people who did it! This is a beautiful turkey, and an awesome recipe. Excellent advice in the “talk turkey section too. I’ve learned some of that the hard way. Like not trusting your thermometer and have a turkey raw at the center. Wow, what a gorgeous turkey! So glad to be sharing a virtual Thanksgiving table with you today! Great looking turkey! Nice to share the communal table with you! You are amazing. Simple as that. Best looking bird I’ve ever seen! 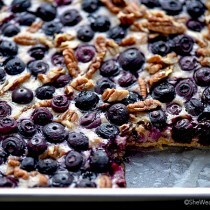 These pictures are making me salivate! I am going to try your recipe this weekend. Thanks! I’m curious… do you know how long I would cook the turkey for at the 350 degrees if I have a 20-25 lb turkey? I’ve heard conflicting things from 5 hours to 7 and I’m worried I’m going to put the turkey in way too early and have it be sitting out for two hours while everything else cooks… thoughts? 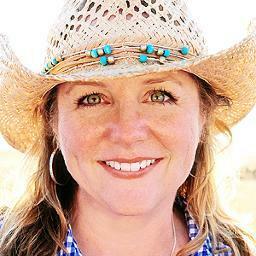 Great write-up, Amy – thanks for sharing your trials so we may all learn from them! I’ve heard that roasting the bird upside down helps keep the white meat moist – since it’s on the bottom it collects/receives more juices. Thanks for sharing, Amy. I think I’m going to start my thanksgiving early after reading this post. I want to eat this now! I used this recipe on my 28 lb turkey this Thanksgiving. It was so moist and delicous. I will never roast a turkey any other way! Just wanted to say thank you for posting this! I used this recipe for my 21.5 lb turkey and it came out AMAZING! Probably the most moist and tender turkey I’ve ever had! The only thing I changed was I cooked at 325 for 4 hours (instead of 450 and then 350), but that’s just because I didn’t know what I was doing (having never cooked a turkey before) and wanted to follow the instructions on the turkey package as best I could. I am also thinking of adjusting my time/temperature just like this. Did your turkey still come out with a nice browned, crispy skin? I was looking over your blog but couldn’t take my eyes off that bird. Thanks for the tip. I will be trying this on Christmas day. Thanks for the best turkey recipe e.v.e.r. Hubby said he wants all poultry cooked like this from now on! Just discovered your blog today – lovin’ it!! Have saved the recipe for the turkey and gravy – both will definitely be on my Christmas menu. Beautiful photography! The picture with carved turkey is pure art – do you have any plans on posting about how to carve the turkey into this presentation – never have I seen such precision cut turkey. Please do post a tutorial. Best turkey I ever cooked! I used Herbes de Provence in the mayo mix instead of your recommended herbs and the turkey came out moist, flavorful, and incredible! I will definitely make this again. This is just beautiful, Amy. Gorgeous pictures. This was wonderful!!! My family raved about this. It was good fresh from the oven and also good cold. Made this at Christmas time and loved it! Now I just made it with boneless skinless chicken breasts and my family loved it!! 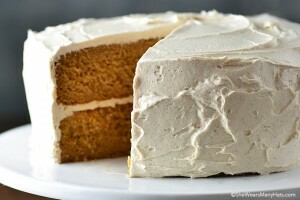 I want to make this and it’s no where near Thanksgiving! This will definitely be my next turkey recipe. Your bird didn’t fall apart while cutting either. Moist. can this method also be used if using the bag method? Thank you so much for the delicious recipe. It was so tasty and delicious! How do you think subbing Greek yogurt for mayo would work??? This looks so good…. Is it possible to use the Mayonnaise Roasted Turkey with a stuffed bird? My family cannot live without the stuffing and not the kind cooked outside the bird. Thanks. I use mayo for chicken breast and people are amazed at how juicy it is. I never thought to do it for turkey!!! I also like the suggestion of two smaller turkeys instead of one big one!!!! I will definitely be cooking it this way this year!!!! I’ve never cooked a turkey so this will be my first attempt. 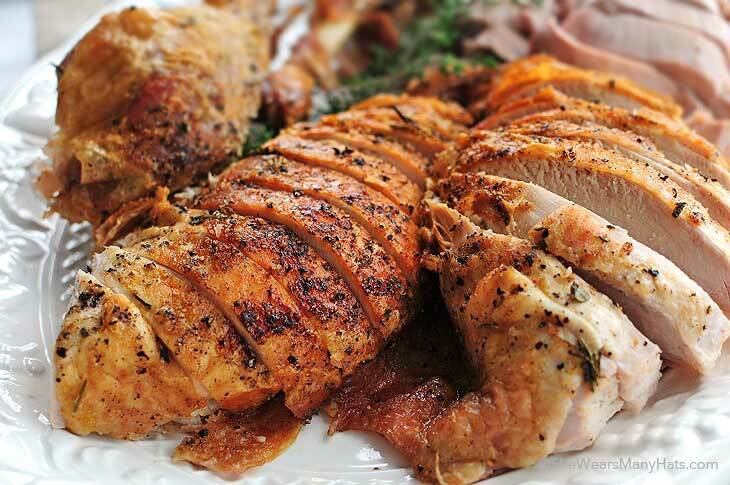 When using the mayo method, would you still baste the turkey now & then with the juices or leave it alone? And no covering except maybe the legs to keep from drying? Would they still brown if covered with foil? Yay for your first turkey! It really isn’t that big of a deal. It’s a big bird, but not a big deal so don’t let all the fuss you hear about it psych you out. With that said, if you want to baste, baste. If you don’t, don’t. I wouldn’t cover the legs until into the cooking time, and by then the legs should be browned already. The most important thing is having a great meat thermometer and making sure it is done. Happy turkey cooking! Question on this recipe. Can you use a rosaster rather than a oven? I will be using my oven for other side items. This is my first time making a turkey and I don’t want to screw it up. This turkey looks amazing and I can’t wait to try it. I’ve never made this in a roaster. I guess it depends on how hot your roaster gets. Cook time may vary. Always use a meat thermometer to check for doneness. I just tried it with a chicken (to make sure it would work for my turkey). So incredibly moist and delicious. I am most definitely roasting my turkey this way. It’s always a winner with the turkeys we’ve roasted. How many hours would you cook a 13 lb bird? Its organic and brining now. (I dont want to have the bird finished tooo early), thanks! I love chicken with mayo and have been doing that for 2 or 3 years now. How could I not have thought about doing it for the turkey before. I am cooking for 16 this year usually it has been for the most 4-5. What do any of you think about stuffing the bird with this recipe. I love stuffing the bird and I am hoping this wouldn’t make the stuffing too wet. Thoughts? Hmmmm … I don’t usually stuff the bird. It may be too wet, but the only way to know is to try it. Maybe if the bird is elevated from the drippings a bit more? Let me know what you do and how it turns out. Happy turkey day! Okay! So I have been planning on your recipe for the past few weeks. I bought two turkeys as suggested. One being 13.9 in weight, the other at 14.6. So they are roughly about the same. I have one leave in thermometer, which can be monitored from outside of the oven, to avoid opening the door. Will cooking time increase greatly since I will be roasting two, simultaneously? Would I need another thermometer? One for each turkey, essentially? I was hoping to have everything served @ 5pm. It’s my first time hosting and I wanted to give myself enough time for cooking. I had planned on popping them in the oven around 1. However, I’m beginning to doubt whether that is a great idea, or not! Thanks for any advice! Yay for you hosting for the first time. I know how stressful that can be. Depending on your oven(s) and how the turkeys will both be situated in the oven(s), they may take a bit longer to cook but I wouldn’t think a whole lot longer. I’d maybe pad my cook time maybe an extra hour, which may not be needed. As far as thermometers, ideally, I would recommend a second thermometer, otherwise, you could check one, then the other, but you’ll be having to poke each turkey more, leaving holes for the juices to escape, which isn’t the end of the world. The most important part is knowing that it has reached the appropriate temperature. Please don’t hesitate to let me know if you have any other questions. I made this one year and it was amazing. But then I made it with a 13-14 pound turkey and this year I have an 18lb turkey. So how long????? I’m hosting my family this year in our house we just bought. Also I don’t have a rack on the bottom of my roasting pan. Is this bad? I’m not positive about time, maybe 2 hours give or take. Just make sure to have an internal thermometer to tell when it’s correct temperature. As far as rack goes, you can improvise with some onions (3-4). Slice both ends so they sit flat, then spread them out on bottom of pan, and sit the turkey on top of them. They’ll cook some and shrink down, but they’ll keep the turkey up a bit out of the juices. I tried this for the first time today and I will never make another turkey any other way. It was absolutely fabulous. It looked gorgeous and was so moist and delicious. Thanks so much for posting the recipe and your beautiful pictures. I’m so glad to hear it. It really is a hard to beat way of doing it. Happy Thanksgiving! Made my turkey using the recipe last week and it was by far the easiest, moistest, juiciest and BEST turkey I’ve ever cooked. I will make it this way from now on. In fact, the kids are requesting I make another one for Christmas! Your turkey is the kind of turkey that I am craving for right now!!! I’m hosting this year. I did a mayo turkey a few years ago and it came out great. I’m going to try yours this year. Do you recommend placing the mayo under the skin as well? any idea how I could prepare a bonesless turkey breast using this method? Anyone ever try low fat or fat free mayo? Same result, or vastly different? Counting calories and trying not to go crazy on Thanksgiving, so any substitutions I can make would be great. Thanks! I’ve used the mayo recipe for years … my concern is you cooking time recommended. .. if I have a 15 to 20 lbs bird I’m thinking the time should be closer to 4 hrs….can’t handle an under cooked turkey and usually cover for the half of that time … any thoughts? The cook time shown is for a 12-14 pound turkey, so yes, the cook time should be adjusted accordingly for size of bird. When you put the bird in the oven initially at 450 degrees before reducing temperature, is the bird covered or uncovered at this point? Thanks! It is uncovered. Happy turkey cooking! The mayonnaise and butter along with the turkey drippings create enough liquid so a small amount of veggies should not burn when using a standard sized roasting pan. I hope it works for you! I am hosting Thanksgiving Dinner for the first time ever next week and I really want to make this recipe! Unfortunately, my grandpa is severely allergic to eggs. Do you think I could use Vegenaise and still have the same result? I just checked the ingredients of Vegenaise. It should work in theory, but just to be sure, I would test it first. Maybe try roasting a chicken or just a chicken breast coated with it and see what happens before trying it on a whole turkey on the big day. Another option is to buy a few separate turkey pieces for your grandfather, and cook them in a smaller separate pan or an area sectioned off with heavy duty aluminum foil of the main roasting pan just for him. Please let me know what you end up doing. I’m sure there are others who would like to know if the Vegenaise works. Hello! Just wanted to let you all know I’ve been using your recipe the last few years with “just mayo” which is a vegan mayo, and it turns out great. Thanks for the recipe! Great to know, Brooke. Thank you! I made this and it was incredible! So surprised at how moist it was. Pingback: This Week for Dinner – Weekly Meal Plans, Dinner Ideas, Recipes and More! : Week 409 Menu + Thanksgiving Menu 2014 - This Week for Dinner - Weekly Meal Plans, Dinner Ideas, Recipes and More! I’ve cooked turkey like this (with Mayo) for years, only my wife won’t let me use anything but salt and pepper. She hates herbs. Go figure. Anyway, I usually tent it in foil for most of the cooking time, then unwrap it and turn up the heat for the last 30-60 minutes so it will brown. Have I been doing it wrong all this time? Please help. Also, please find me a new wife who likes herbs (smile). If that method has produced a tasty turkey for you, then I think you’re probably good. If you’re curious, it wouldn’t hurt to try it the other way. Dear Amy, or should I say Dear Abby? FYI, when a person puts a (smile) after a comment, it means he or she is kidding. My wife has liked me for almost 50 years so I don’t think I need your advise in that area. Dear Bill, When a person puts a wink after a comment (as I did) that means he/she is kidding also. I knew you were kidding and in the spirit of all things kidding I replied in kind. I apologize if it came across otherwise. Unfortunately a lot can get lost in translation online. Happy Thanksgiving to you and your wife! My apologies. If that emoticon was on your original post, I didn’t see it. I use my iPhone for such things and emoticons are so small, they just look like a yellow dot. Happy Thanksgiving to you and yours too. I am planning a 20lb turkey (already purchased). Might you have a suggestion on the adjustment I will need for roasting time? I am thinking I will have to double your 2 hours and plan on 4, but I thought I might ask. Thanks! I would trust the meat thermometer, and plan on 4 hours, but monitor it closely after 3 hours. With that said, when timing the meal around the bird being ready, remember to pad the turkey rest time in there too. Of course if the turkey cooks quicker than the allotted 4 hours, it can certainly rest longer, wrapped tightly to keep warm, while the other dishes (like the gravy!) are finished up. I’ll be curious to see how long it does take you. If you have time, do you mind leaving another comment here with what the total cook time was for you? I’m sure others would like to know too. My turkey has always come out awful. I wish I could attribute it to being a vegetarian, but it was awful long before that. I made this last year, and everyone loved it! It was the first Thanksgiving I didn’t feel like a failure. People loved it so much, they went home and tried to duplicate it the next day. I’m making it again tomorrow. Thank you so much for sharing this. I’ve also posted it to my facebook for my friends and family to use. That makes my day! I hope y’all have a very lovely Thanksgiving! I would say for this recipe use a TOTAL of 3 tablespoons of dried herbs in whatever combination you prefer. Do you think the results would be the same in the type of roaster that is plugged in on the counter? I’m not positive as I’ve never used one of those, but I would think it would be the same if not very similar. Been using Mayo for years, but never with herbs mixed in the mayo. Doing as suggested for 2 large 21 lbs birds and I KNOW they will turn out awesome! It’s about time to insert the temp probes–the smells and sounds are already building at an equal rate of my anticipation of it’s taste. I look forward to the reactions of my young military guests. Wishing all a Great Thanksgiving. I hope y’all enjoy them! Happy Thanksgiving! Thank you! Just made this and if it tastes as good as it looks and smells, then we have a winner! Happy Turkey Day! Happy Thanksgiving! I hope it was a success. Made this yesterday and everyone loved it! I am doing a second Thanksgiving on Sunday with other family members and I’ll be making it again! Couldn’t be any easier! Thanks for the recipe! Fantastic! And yay for a second Thanksgiving! I tried this for Thanksgiving and it was amazing! Everyone kept asking me what I coated the turkey with because it came out perfectly browned and crisp, not to mention moist!!! Thank you so much for sharing. So happy to hear that! I hope y’all had a wonderful Thanksgiving! Didn’t make this exact recipe, but did use the mayonnaise trick with some salt and pepper and herbs and stuffed an apple and an onion inside the cavity. Turned out great. The turkey couldn’t have been any juicier! Sounds perfect! I need to try some apples next time. And maybe some oranges too! I made my first turkey using this recipe and it came out amazing! It was the best tasting turkey I’ve ever had. I used roasted garlic salt instead of regular salt and it really brought out the herbs. Such a great recipe, thanks! Yay! I’m totally going to substitute the garlic salt out for regular next time. I bet that was good! This looks amazing and I’m planning on making it this year. But some of my guest this year are Jewish and can’t have the butter in the cavity. Do you suggest that I just use a non dairy butter substitute or do you recommend something else? I would rub the cavity with oil and more mayonnaise and skip the butter. I made this turkey for my first thanksgiving! My over turned off mid cooking, and it still came out AMAZING!!!! This is my go to recipe going forward. Seriously the best. Can I ask what brand of mayonnaise you use? Thank you. We usually use Duke’s mayonnaise, as well as Kraft Real Mayo from time to time. The turkey looks divine. But how do I add stuffing to it with all the butter in the cavity. Won’t that be too much butter taste with the dressing that also has butter added to it? I don’t add stuffing inside of the bird. Is that what you are asking? I cook the stuffing separately. I found this on Pinterest the other day, and I must say, that is the most amazing looking turnkey I have seen! I can not wait to try this recipe. Two questions, what type of salt did you use and did you put the mayo mixture under the skin of the turnkey? Hello Kathy! I used kosher salt. I did not put mayo under the skin of the turkey in the photo, but I have done that before. Whatever you would like to do. I am planning on cooking a 20lb turkey this year and can’t wait to use this method. Do you think cooking it at 325 for 4 hours will still result in a nice browned, crispy skin? If you follow the recommended cook temperatures (higher heat at first for 30 minutes) then it should still be nice and browned. Most of the browning happens at the start with the higher heat. As far as cooking it for 4 hours at 325-degrees F, I’m not sure what results you will have. My recommendation is to lower the temperature after the initial 30 minutes at 450-degrees F and cook it at 350-degrees until internal thermometer reaches 165-degrees in thickest part of thigh, covering turkey legs (or whole turkey, if needed) to prevent overly browning. I hope that helps. Let me know if you have any other questions. Do you put the turkey o a rack? Do I put the mayo under the skin? Id not, where? My roasting pan does have a rack in it, so yes. It’s not totally necessary to have a rack. You can also set the turkey up on thick onion pieces, celery or apples. Hi, I was wondering if you could use this method with a stuffed turkey? I have never cooked this method with a stuffed turkey so I do not know. Do you still baste the bird while cooking? No need to baste the bird. Can I prep the bird with they mayo the night before? A little late reply to your email, but in the future, yes you can and keep it refrigerated. I made this turkey for Thanksgiving today and it was superb! Very moist and was done in two hours. I just had to leave a review. Best turkey I have made hands down. I hope you had a great holiday! This was amazing! My family loved it and it was so easy to do, especially for my first time cooking a turkey. The only modification I made was that I cooked it at 325 degrees until it reached an internal temperature of 170 (four hours for a 20 lb turkey). It was so flavorful and juicy. I used the remaining juices to make gravy and it was fabulous! I found this recipe on Pinterest and made it for our 1st Annual Friendsgiving! My husband said it was his favorite turkey he has ever had! It was soooo moist even a couple of days after and the flavor was on point! Thank you so much for sharing! Thank you, Summer! I’m so happy it was a success for y’all. I’m already feeling the need to make another to be able to use for other recipes. Those fresh herbs look amazing. Can’t wait to start growing them this year and make this turkey with fresh herbs right out of our little garden. Your photos are beautiful and this turkey looks delish. Thank you! Fresh herbs on hand always make things taste better, don’t ya think? This looks terrific. I’m actually going to try iy with chicken. I love a good oven cooked chicken. I’ll of course have to adjust baking time and perhaps temp. Anyone have any tips for ne doing this with chicken? Now you said two smaller birds would be preferred over one large bird. I have a single oven, so could I cook them at the same time or would that affect the cooking time, etc.? Cook time may need to be adjusted. Be sure to check doneness with internal thermometer. 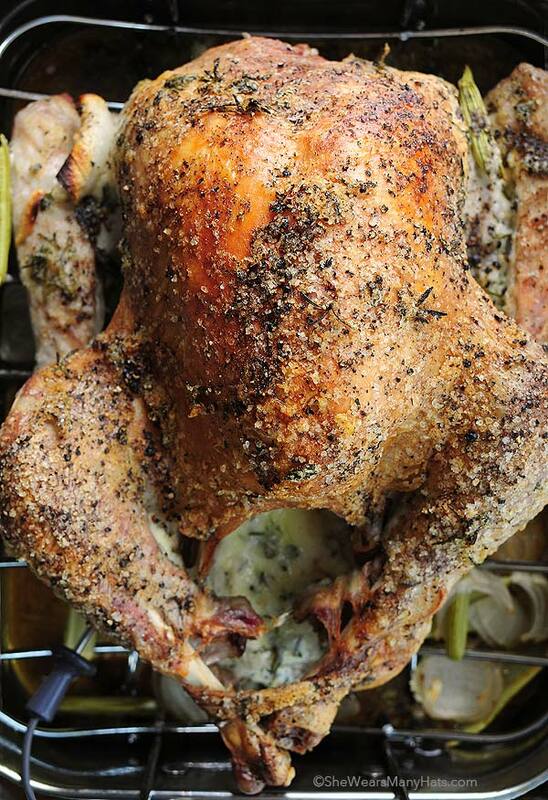 I dry brined my turkey last year and used this recipe with herbes de provence. Amazing!!! I’m making it again this year but wondered if you ever rubbed the mayo under the skin or just rubbed it all over the outside of the skin and inside the cavity? I have done it both ways and it works well. Can you cook it in a roasting bag and get the same result? I don’t think it would get the same results as the point of coating the bird with mayonnaise is to get a nice crispy golden crust and keep the bird moist at the same time. A roasting bag will hold in moisture so the crust will not get as golden and crispy. The mayonnaise will eventually start melting off. 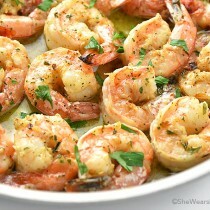 Basting is not necessary for this recipe and will prevent a crust from forming. Any brand of real Mayonnaise, NOT Miracle Whip. I am going to give this a trial run this weekend on some turkey legs. I highly recommend cooking the turkey spatchcock style (butterflied). It cuts the cooking time almost in half and all of that beautiful skin is crisped, this time with that yummy mayonnaise. I’m thinking maybe 3hrs…. let me know, thanks!! It should be about 2.5-3 hours. Check internal temperature for doneness. One of the few guys that have tried this it seems……THIS WORKS. Have added some dark olive oil to the mayo with herbs along with adding pineapple, grapes and apple chunks to cavity (still including the celery, onions and butter of course. Option to marinate the night before, breast side down. Bottom line: THANKS for this excellent recipe! 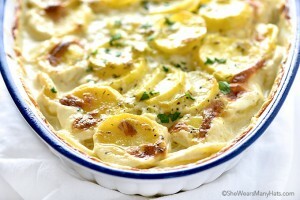 I tried this yesterday for our Thanksgiving dinner, and this recipe is awesome! It was moist and seasoned perfectly and the crust is to die for….the best part what putting it in the oven and forgetting about it until the timer went off, no basting, no worry!! So glad you enjoyed it! I do appreciate how easy this recipe is. Juat wanted to say I tried this Thanksgiving after dry salt brining the turkey for about 3 days in the fridge. It was the best turkey I’ve made since I started doing Thanksgiving on my own, so out of 10! Last year was the first time I salt brined, and that helped a lot with keeping the breasts juicy. 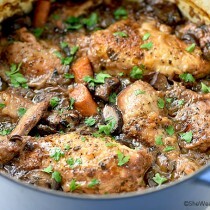 With this recipe it was even better and the dark meat was absolutely delicious! This was also the first time I did not stuff the turkey, and even though I said “Yeah right” when Amy wrote that it does NOT take 4 hours to cook a turkey, lo and behold I was shocked when it was done in about 2 hours. I’m so very happy to hear that you enjoyed it, Ljo! I think a lemony addition would be wonderful. I may try that soon myself. I just made this today for Christmas – the turkey was DELICIOUS! I have baked chicken many times with a mayo coating, but this is the first turkey. The meat was super moist and the skin was crispy. Everyone loved it and the vegetables make a wonderful gravy added to the packet of gravy mix from the turkey. This is now my go to recipe for Thanksgiving /Christmas dinners! Thank you for sharing, Janine! I’m happy it was a success for you! Seeing that you tried this, when she says liberally salt and pepper turkey, how much are we talking about? Rough guestimate? What’s the purpose of putting a whole stick of butter in the cavity of the turkey. Also, do you remember what brand of turkey you used in this recipe. The butter is for making gravy with the drippings. I don’t use a particular brand of turkey. We always look for a turkey with no added junk. I can’t wait to try this on my turkey breast. Mayonnaise is a miracle ingredient. I use it in my cornbread and some other baked goods. Your turkey looks so delicious. Thank you so much for the wonderful idea. Have a wonderfully blessed Thanksgiving. My wife and I are new (about 6 months) Smokers, I purchased a pellet smoker from Amazon. Wow what an experience! Went to gether easily, and did my 1st ribs that day. Since we have done pork shoulder, chicken, bb ribs, tri-tips and a couple of briskets. So fart everything has been very cool. Our chickens have come out great except that the skin was a little tough. We have shopped everywhere for a method of smoking where the skin would be eatable, as compared to shoe leather. Today my wife (the chef in the family) found the mention of mayo as a coating?!@#?? I like mayo my wife is no great lover, but we decided to try. Just finished dinner “GREAT” bird!! The skin was very nice the bird was moist. Thanks a lot. I’m happy to hear that y’all enjoyed it! Happy cooking, Bruce! Can you use a turkey bag with this recipe? No need to use a turkey bag with this recipe. Will this work with light mayo? I would not recommend light mayo. 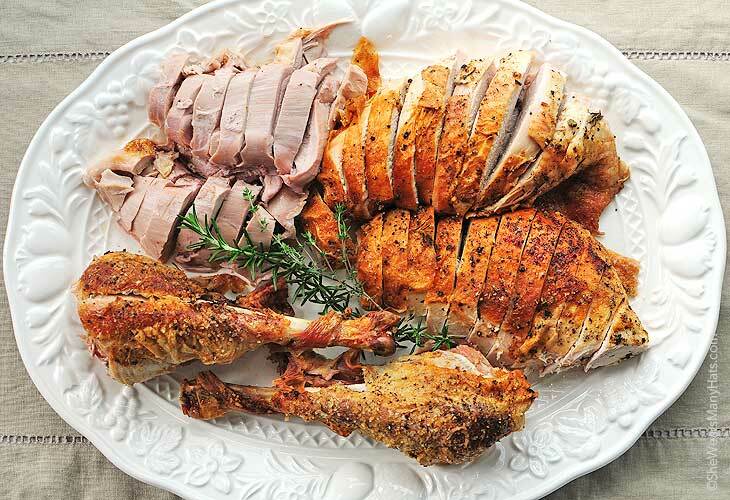 Are you trussing your turkey in this recipe? Is it necessary? I plan on making today but have no twine! Sorry, I’m a day late! I trussed the legs by using extra skin from the main cavity. Sometimes I don’t truss at all. This recipe is the BEST EVER. I cooked a 24 pound turkey. Everyone loved! After the turkey rested for 20 minutes, it was ready. The moment the carving knife went into the turkey I could tell it was moist. It was SO flavorful. I made the BEST gravy from the drippings. The next day I made soup from the leftover drippings, turkey meat and bones. The best part, I didn’t have to add any more seasoning to the gravy or soup. This will be my go to recipe for the holiday. So very happy to hear it, Pendora! You can use any combination of herbs that you like. Use same amounts or more if you’d like. 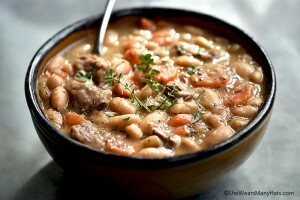 I love this recipe and have made it numerous times. Today I am tasked with cooking a 29 lb farm fresh turkey for a party full of co-workers. Should I use more of….well…..everything? This guy is huge!!! That is huge! Yes, I would use more of everything. If I need a total of 20 lbs for my large party, and I do 2 smaller turkeys instead – can I cook them both in the oven at the same time? Does the cook time change at all? If you can fit them in the oven at the same time and follow the same cook time suggestions, checking with internal thermometer for doneness, that should work just fine. This looks amazing! Quick question – if I dry brine the turkey, will the instructions change any? I imagine I wouldn’t re-salt, but just wondering if it would work the same. Thanks! I would probably cut the salt a bit it you are dry brining with salt. I was looking for a new recipe last year and came across this one, so I decided to try it. It was so easy and it was the best turkey I’ve ever had! It was amazing! I’m definitely using it again this year! Thank you! I don’t know now where I’d be without all you talented people generously sharing your awesomeness! I would like to say thank you for this recipe. I have been using this recipe for now SIX YEARS faithfully every thanksgiving. I hosted my first thanksgiving in 2011 turkey was very dry but following year I found this and have been using it to a T every year. Never a disappointment. I’m really grateful for this recipe as it is so dear to my heart because my children and I the small family we are always have huge smiles on our face around this time looking forward to this traditional recipe. I am soooo very happy to hear that, Mersaidies! We look forward to it each year too. Anything that makes the big day a bit easier AND tastier is always a good thing around here. Hello. I’m dying to try this recipe this year. I was planning to use my electric roaster oven so that my conventional oven space is free for other things. I’ve read to do the high temp then lower in the roaster oven to attain that crisp skin, but I’m worried I’ll mess up this beautiful recipe by cooking it in the roaster oven which has a lid. Any thoughts? Suggestions? Thank you! Hi!!! I am going to be making this wonderful looking turkey this year! I was just wondering if you would suggest to put the mayonnaise mixture on top of turkey skin as well as under the turkey skin? I’ve made this recipe three years in a row and love it. I can’t wait until tomorrow. I tried this recipe and it was a huge hit. The entire turkey was gone. I felt very confident making it although I was skeptical but it turned out beautifully. I never really enjoyed making turkey because it was so time-consuming. I was always concerned that I would not cook it long enough or it would be raw but this recipe was truly easy and tasted great. Thank you for the recipe, I will not make turkey any other way now. I’m so happy to hear it, Erika!